Brussels Airlines opb Flybe Dash 8-Q400 FS9 for the TFS Dash 8-Q400 base model. 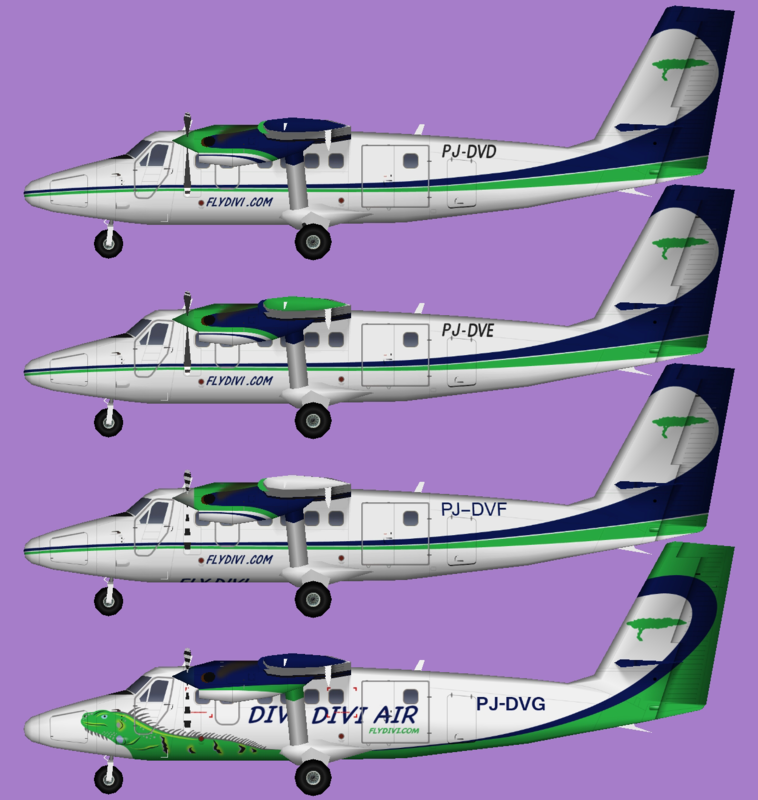 FlyViking Dash 8-100 fleet FSX/P3D for the FSX/P3D converted TFS Dash 8-100/-200 base model. These are FSX textures only. The TFS Dash 8-100 base model is required. InterCaribbean Airways paint for the HTAI Dash 6 base model. These are FS9 textures only. The HTAI Dash 6 base model is required. With permission from Darren, these are FS9 textures only. Skippers Aviation Dash 8-300 FSX for the TFS Dash 8-300 base model. Skippers Aviation Dash 8-300 FS9 for the TFS Dash 8-300 base model. These are FS9 textures only. The TFS Dash 8-300 base model is required. Air New Zealand Link Dash 8-300 New Color FS9 for the TFS Dash 8-300 base model. Air New Zealand Link Dash 8-300 New Color FSX for the TFS Dash 8-300 base model.